Craig Dedelow banked on himself upon graduating from Munster High School in Indiana. Having put together a solid prep career that included being named team MVP and a Gold Glove recipient, the outfielder believed he had what it took to earn a spot on the Indiana Hoosiers' roster as a walk-on. Dedelow not only made the team, he thrived when given the opportunity to take the field. After appearing in 36 games and starting 15 times as a freshman, the left-handed hitter proceeded to lead the Hoosiers in hits and total bases as a sophomore and junior. Pittsburgh drafted him in the 34th round in 2016, but Dedelow felt he had more work to do. He returned for his senior season and finished second in the Big Ten with 19 home runs and 135 total bases while ranking fourth with a .563 slugging percentage and fifth with 54 RBIs. 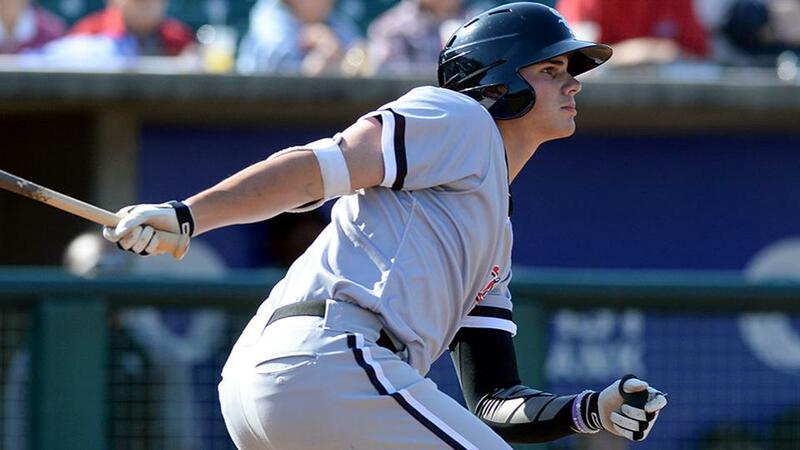 When the White Sox called his name in the ninth round in 2017, Dedelow knew he was ready for the next level. "It was really a big stepping stone for me after going into Indiana as a walk-on," said Dedelow, a three-time Third Team All-Big Ten selection. "I learned a lot from guys like Kyle Schwarber and Sam Travis and Will Nolden, who was kind of my mentor as an outfielder. Then being blessed with the opportunity given to me, I just tried to do the most with what I had. I'm very lucky to be in the spot I am right now, and I have to thank my coaches and Indiana University for giving me that opportunity." His transition to the professional ranks has been as impressive as his college performance. He began his pro career in the Pioneer League last summer and earned All-Star recognition while hitting at a .321 clip. Dedelow also placed second on the circuit with 21 doubles, tied for second with 36 extra-base hits and ranked fifth with 143 total bases. Another strong showing has followed for Dedelow with the Kannapolis Intimidators in the South Atlantic League in 2018. He entered games on Aug. 15 ranking second on the circuit with 30 doubles and tying for third with 46 extra-base hits. Overall, he owned a .256 average with 10 homers and 60 RBIs. For the second straight season, he earned a spot in his league's All-Star Game and participated in the corresponding Home Run Derby. Although he excelled this year by hitting 15 and 13 round-trippers in the two rounds of the SAL event in Greensboro, Dedelow said it was more difficult trying to blast bombs in three and a half minutes per round as opposed to hitting until 10 outs are recorded. "The ones where you're going against a clock are tough because you're trying to get as many swings as you can," Dedelow said. "Swinging continuously for three and a half minutes is a lot longer than you might think, especially when you're trying to hit a home run every time. But it's a really good time, hanging out and talking with the other guys." While the goal of a Home Run Derby is to clear the fence as often as possible, Dedelow admits he has altered his mindset after an early-season discussion with his coaches, who told him going yard should not be his objective every time he steps in the box. Since then his new-found focus has taken some pressure off and allowed him to approach every at-bat based on the situation. "Right now the big thing is trying to get more power and trying to be more consistent," Dedelow said. "We haven't changed a lot about my swing; it's been more of an adjustment with my approach and knowing the inning and score and who's on base. I want to be more consistent by getting in more hitters' counts while staying out of pitchers' counts. I think my biggest weakness this year has been my swing-and-miss and the strikeouts, but that's something I'm going to work on and get better at during the offseason." Walk-off wonders: Zach Rheams' third hit of the contest was a game-winning single in the bottom of the 10th inning to give Columbia a 2-1 win over Delmarva on Aug. 12. The Fireflies' Nicolas Debora struck out a career-high 10 batters over seven innings in his fourth start and 18th overall appearance of the campaign. Columbia has seven walk-off wins this season, three coming against the Shorebirds. Hernandez hot, hot, hot: No hitter has been hotter in August than West Virginia catcher Raul Hernandez. The Venezuela native was 19-for-34 (.559) with four doubles, four RBIs and five walks in his first 11 outings this month. Hernandez also has thrived as the Power's designated hitter this season with 17 hits in 27 at-bats (.630). Casey is golden: Casey Golden may lead the SAL with 146 strikeouts, but a case can be made that the Asheville outfielder is the league's most productive hitter. Golden leads the circuit in runs (76), RBIs (78), extra-base hits (48) and total bases (123). The product of UNC Wilmington also is second in the SAL with 28 home runs and third with a .548 slugging percentage.